I wish to take this opportunity to congratulate you Mr. Chairman and the members of the Bureau on your election. This year, we will reach the four year milestone on the implementation of the 2030 Agenda for Sustainable Development, which set a transformational course for the future of human development. Central to the Agenda is the principle of “leaving no-one behind”, which aims to bring those most marginalized into the spotlight in the development process. This includes giving special focus to women, children, those with disabilities, and other vulnerable sections of our population. While we have made great strides in prioritizing inclusiveness, we continue to face significant challenges. Gender inequalities continue to manifest themselves in all dimensions of sustainable development. Women are more likely to be poor, unemployed, and doing unpaid work. While women have made important inroads into political office across the world, their representation in national parliaments is still far from parity. In some regions, the unemployment rate of women is more than double that of men. Similarly, youth unemployment remains a significant global challenge. People with disabilities, aging populations, and other vulnerable groups still face deep inequalities. In the light of these challenges, addressing inequality in all its dimensions remains critical to making economic growth more inclusive and sustainable. This is essential for eradicating poverty, ensuring shared prosperity, advancing social progress and achieving sustainable development for all. Having successfully achieved the Millennium Development Goals in 2015, Sri Lanka reaffirmed its commitment to sustainable development by aligning its national policies and strategies with the 2030 Agenda. With a dedicated Ministry for Sustainable Development and Wildlife, Sri Lanka remains committed to overcoming its long-term strategic and structural development challenges and striving to transition to an upper middle-income country with a knowledge-based, highly competitive, social-market economy. Sri Lanka’s foundation for inclusiveness is enshrined in our Constitution, which guarantees equality to all its citizens, and allows for special provision to be made for the advancement of women, children and disabled persons. We recognize the need for affirmative action in the case of vulnerable groups. The country’s long-standing welfare policies and programmes further contribute to ensuring that no one is left behind. These include the country’s health system, education system, and social protection programmes. Certainly, disparities in income, unequal access to services and opportunities still persist. However, as a conscious effort towards addressing the needs of marginalized groups and lagging areas, GoSL has undertaken several programmes and projects to enhance the living standards of the poor and vulnerable. There are a large number of social protection programmes implemented by Government agencies targeted towards the poor and other vulnerable groups including internally displaced persons. These include the Samurdhi program- the main poverty alleviation program, elderly assistance programme and disability assistance program. The establishment of the Welfare Benefit Board (WBB) in 2016 is a significant step towards ensuring access to social protection among the neediest groups. Similarly, the government has prioritized the acceleration of rural economic and social development, whilst developing rural infrastructure facilities. Several programmes such as Decentralized Capital Budget (DCB), Rural Infrastructure Development Programme (RIDP) and Rural Infrastructure Development Special Programme (RISP) has prioritized improving Sri Lanka’s infrastructure base, recognizing the importance of economic and social infrastructure for facilitating inclusive growth and development. Acknowledging the challenge of youth unemployment, the issue of youth skills development is one that is of critical importance for Sri Lanka, and one that Sri Lanka prioritizes in its national policy framework, with a dedicated Ministry for “Skills Development and Vocational Training”. Sri Lanka strives to build a sustainable, knowledge-based economy, with the government working to provide full scale training in digital technology for young people both in rural and urban areas across the country. At the UN, Sri Lanka is one of the main sponsors of the “World Youth Skills Day”, which aims to bring to the forefront the imperative need for bridging the youth skills gap in an increasingly technologically oriented world, and tackling the issue of youth unemployment and underemployment. Disparities in resources, levels of development, and financing mean that considerable inequalities persist in the access of youth to digital skills. In an effort to tackle these challenges, governments and all relevant stakeholders must target political commitments and programmes for the advancement of digital skills among youth, in order to ensure that technological advancement does not result in technological unemployment. 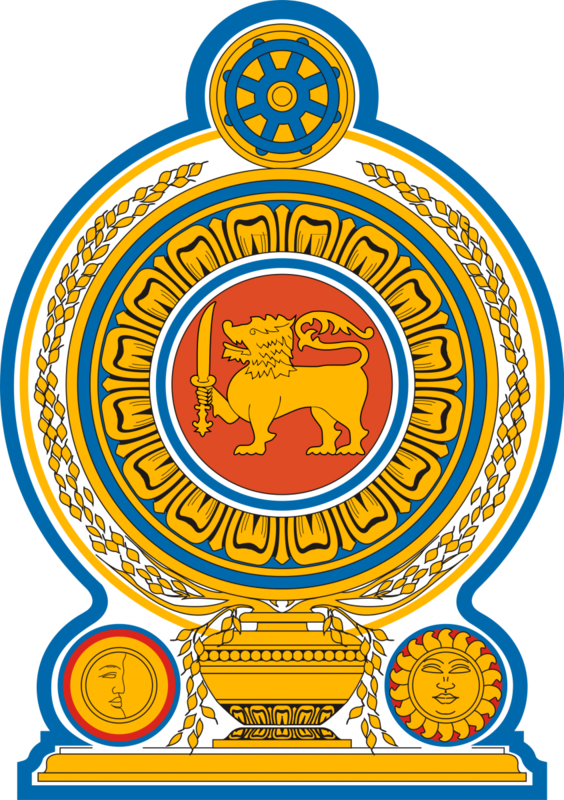 Additionally, Sri Lanka has identified gender equality and women’s empowerment as priority areas, a commitment which is illustrated by its active membership in numerous international conventions and declarations including the Convention on the Elimination of All Forms of Discrimination Against Women (CEDAW). The government is currently working towards achieving gender equality through the enactment of gender sensitive laws and formulation of policy and through action plans. Gender equality has been addressed through the Fundamental Rights Chapter in the Constitution and by meeting treaty obligations as well as by achieving gender indicators in the Sustainable Development Goals. Our government is focused on three priority areas of women’s empowerment, namely: (1) women’s economic enhancement and financial identity (2) the elimination of violence against women; and (3) women’s engagement in public and political life. Given the low political participation of women, steps for women’s empowerment have been introduced through quotas for female representation in political institutions. Additionally, there are several on-going livelihood development programmes that target vulnerable women. Achieving sustainable development for all entails tackling challenges to social inclusion, such as discrimination, disadvantages and other barriers faced by people in vulnerable situations. Time and again, the needs of those living in poverty, including members of social groups that are vulnerable or marginalized, are not adequately recognized, and are not reflected in decision-making processes that affect their wellbeing. In order to ensure the achievement of the 2030 Agenda and its Sustainable Development Goals, we must strive to address these inequalities through strong social protection policies. Only then can we align the dimensions of implementation with the bold vision of the 2030 Agenda and truly harness its transformative potential.